If my records are correct there are just 9 of these K-LAE Leyland Olympians with First Group now, nearly all of them now in Plymouth. 34623 34628 34629 have arrived from Weymouth who have been having a bit of a fleet upgrade recently. I have always liked this Northern Counties design bodywork and always liked Olympians which give a much better ride than any of the newer Tridents but they are certainly not low floor and many passengers are less than happy to see them on busy City routes, and often on the main X80 too. ©Nick Rice - thanks to Nick for both pictures. 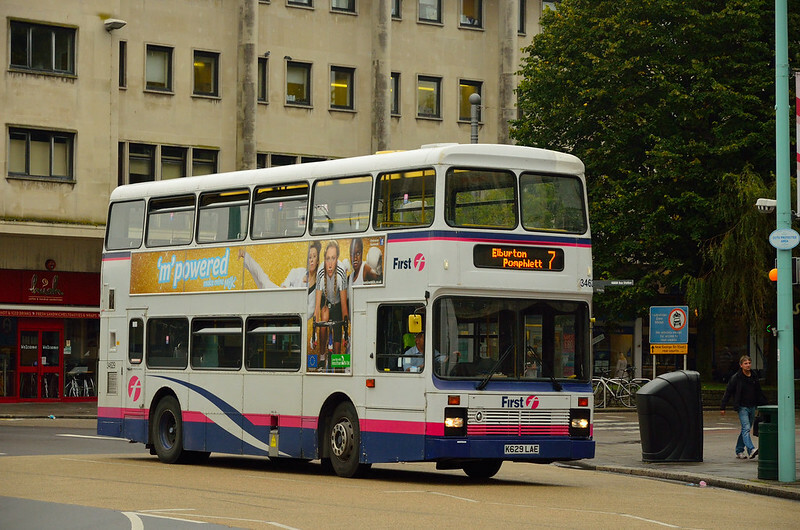 It seems that First is cascading all their cr#p buses into Plymouth recently! Could this be as it is looking to dispose of its services in the City? After all loads of businesses are disappearing in Plymouth, perhaps its just not that lucrative anymore. After all John Lewis and Ikea chose Exeter over Plymouth! I'd rather have Leyland buses than Ikea, their furniture is crap! 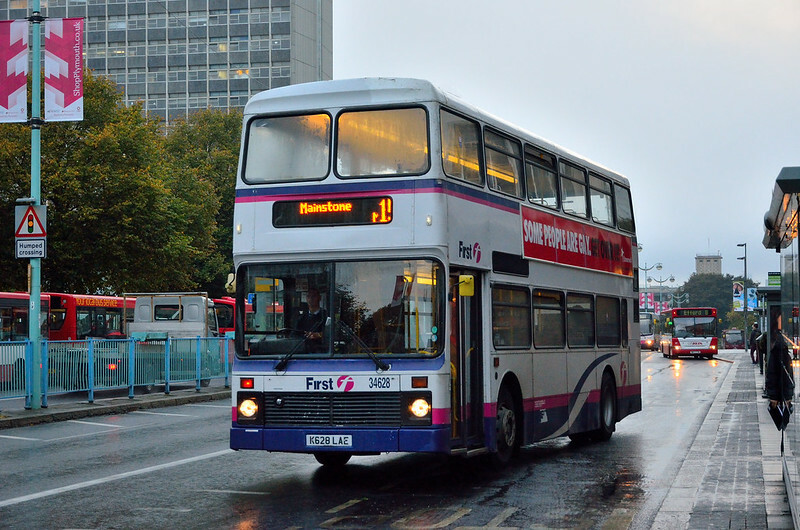 Perhaps Plymouth gets the type of buses it deserves? Many years ago IKEA intimated that they wanted to open a new store in Plymouth at Laira on the old Western National bus garage site. Understandably the council said no to this as Plymouth would have been gridlocked with a store in this position (just think of Laira Bridge roadworks and multiply the traffic by 100!). However, instead of saying 'Great, IKEA want to come to Plymouth, let's help them find a suitable site' (like any other place with a bit of vision would do) the council did nothing. So the coaches and cars continued to drive 125 miles up the road to Bristol and IKEA gave up on Plymouth and went to our main shopping rival instead (the place with the motorway, airport, rapidly expanding business parks, booming city centre, lots of new Stagecoach buses and very soon, brand new trains). Still I suppose the cars and coaches will only have to drive 45 miles each way now. Well done Plymouth! I've seen these on the X80 a few times; though is the 15 and X80 not meant to be low floor?